This 2019 UK Britannia 1oz Silver Coin Mini Box Starter Kit contains everything you may need to get started in silver coin investment. 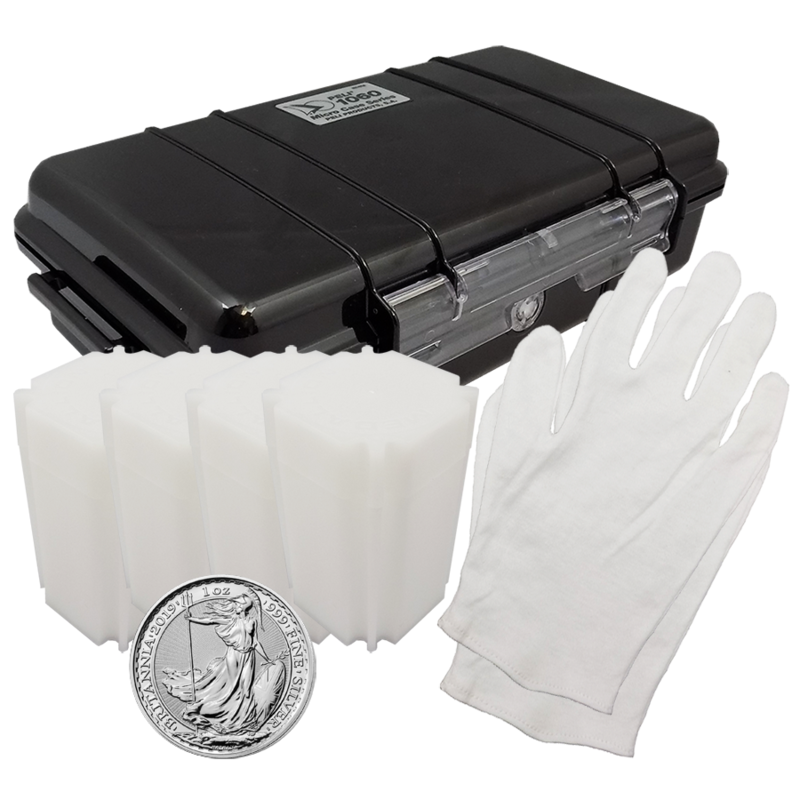 The kit contains: 1x Peli 1060 Case, 4x 39mm coin tubes, 1x pair of white gloves and a Silver 2019 UK Britannia 1oz Silver Coin. 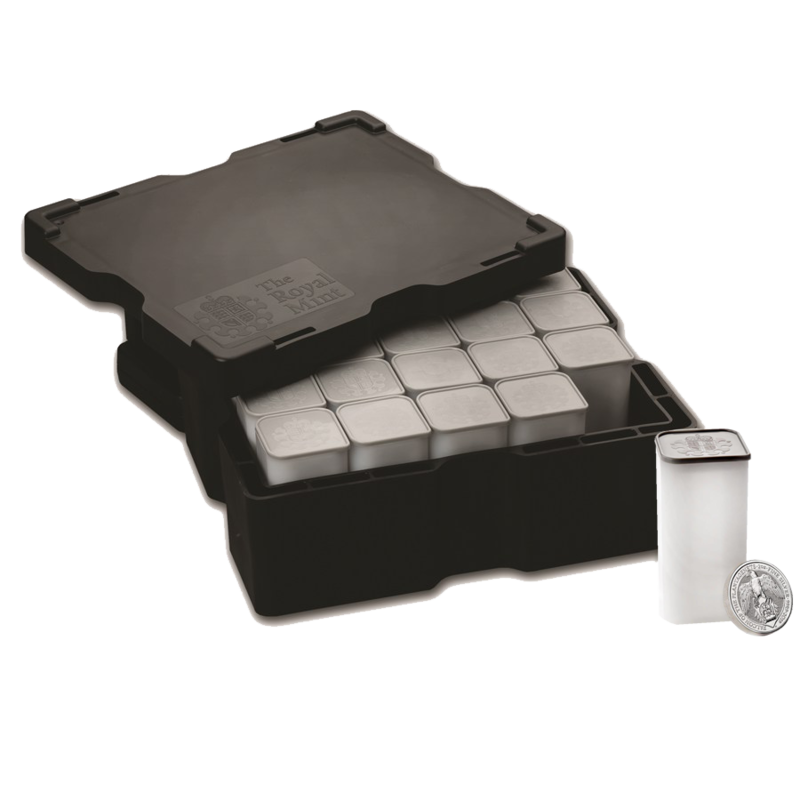 The Peli 1060 Protective Microcase is ideal for storing your bullion investment. It features an automatic pressure equalisation valve, carabiner, rubber liner and is scratch resistant, waterproof and crushproof. 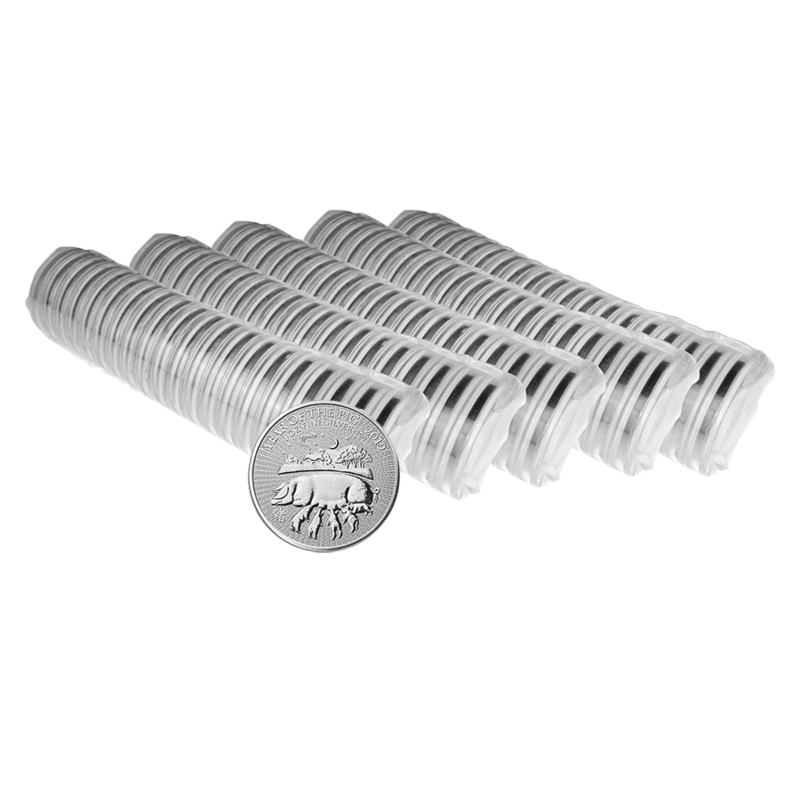 The 1oz Silver Round coin tubes offer a square design, allowing for easy stacking that won't roll off the table. 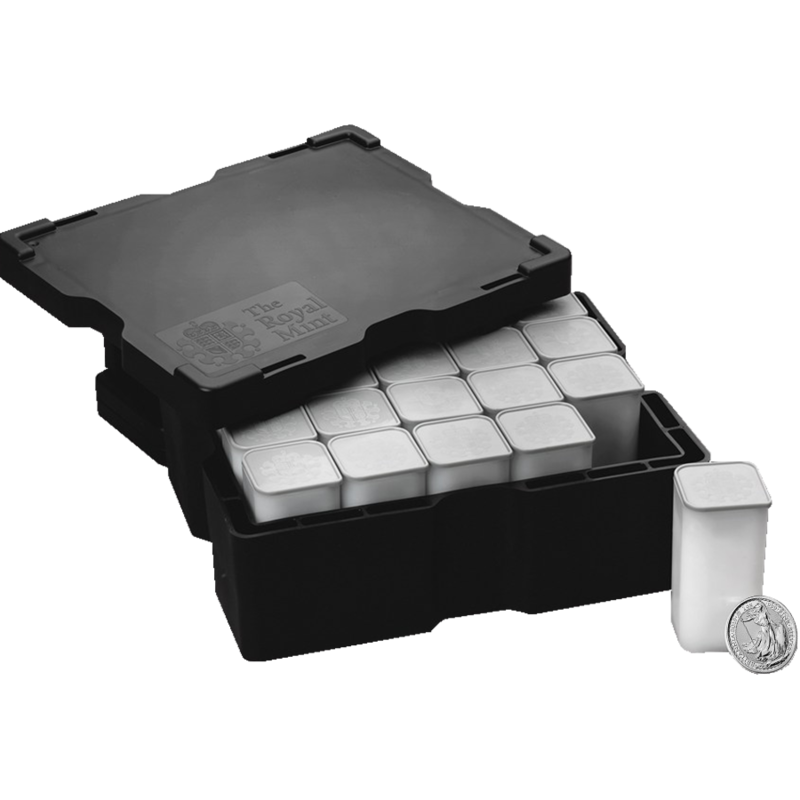 The cap features a double seal with snap-on design and holds up to 20x 1oz silver coins. Large White Cotton Gloves, ideal for handling coins to reduce finger marks and scratches. 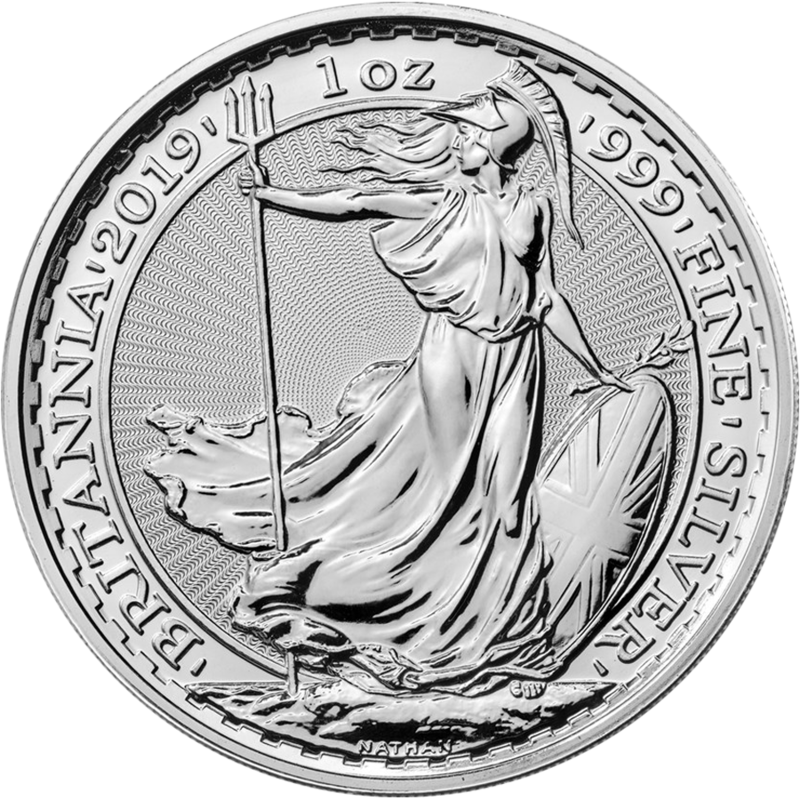 The 2019 UK Britannia 1oz Silver Coin features the image of Britannia on the reverse of the coin, including radial lines which add security to the traditional design. Details of the coin's weight, fineness and year-date also feature. 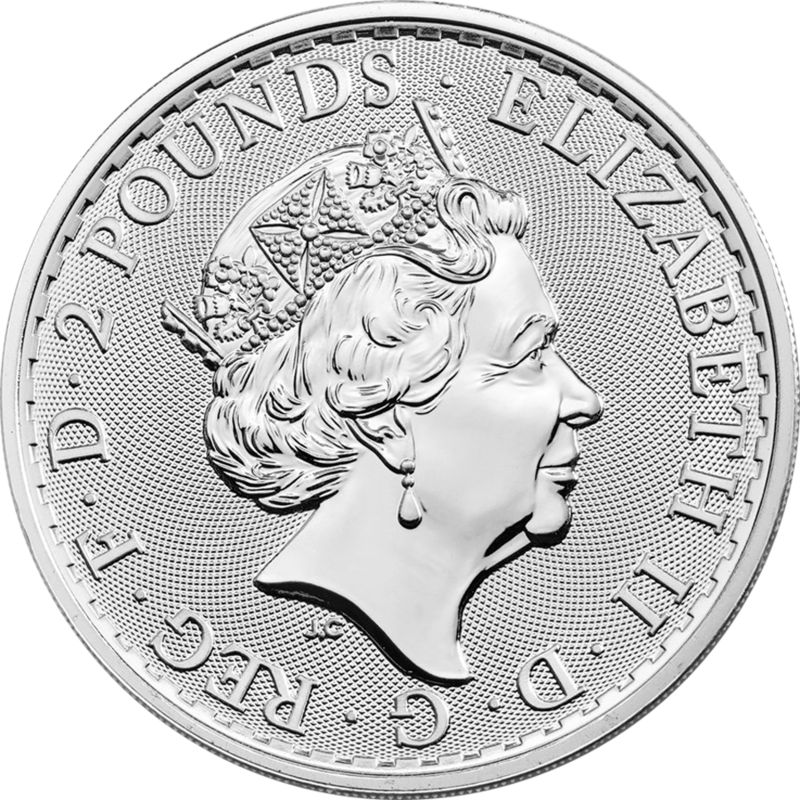 The obverse design depicts the fifth portrait of Queen Elizabeth II, and the monetary denomination of £2. 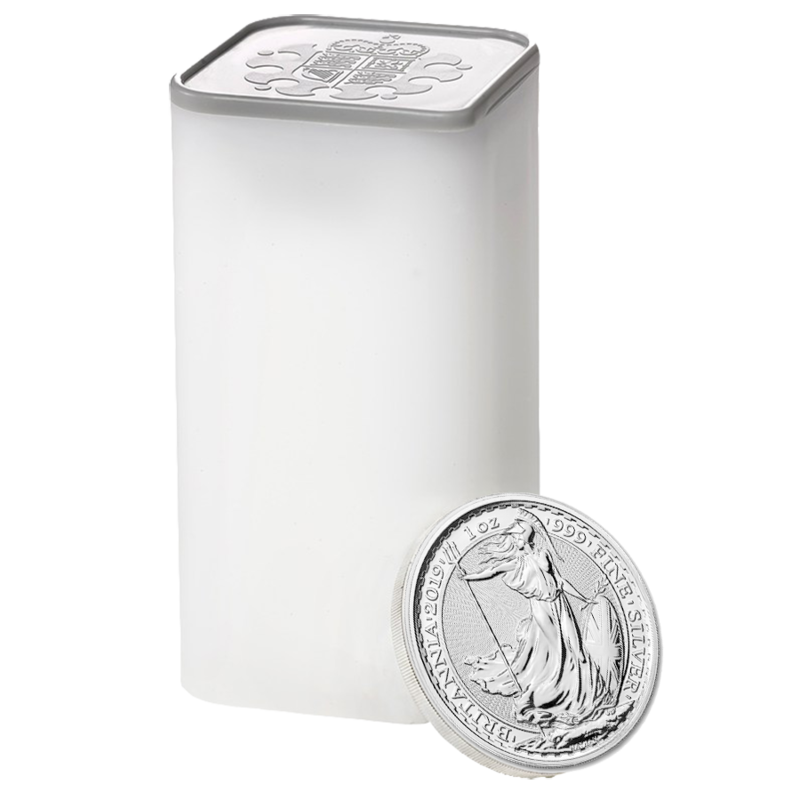 The Britannia coin weighs 1 Troy Ounce and is 999.0 Fine Silver. Coin diameter: 38.61mm. Thickness: 3.00mm. Peli Case Internal Dimensions: 20.90 x 10.60 x 5.40mm. Coin tube interior diameter: 39mm.